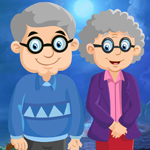 G4K Old Couple Escape is another point & click escape game developed by Games4King. There were a few houses and palaces in a beautiful gigantic village. The place was beautiful to see. An old couple was living in that village, taking care of each other with love and affection. One day, the husband got unexpectedly stuck in a house. It is your duty to rescue him. It will help you to find the hidden clues in the form of colours and numbers and to find the items where the husband is to save him. Find them all and solve all puzzles to free the husband in order to reunite the couple. Good luck and have fun! AB hint D/W any were? can't seem to pick up controller also? Now I can't find a place for bird?? Stuck with n e s w colour hint. Where does it go?? No "continue" button today, only a "start" button. Tilting the birds does not work for me. AB hint worked in s2 for me, you have to click very slowly though. how to use mag hint on scene 5? got the mag hint..where is hint for purple buttons? It's 5243, when you complete the bear in s6. I can't get the birds in s4 tilted right. Tried using the clue as it read. Even tried using the height of the string bends (the middle one for the 1st bird, the one to the right of it for the 2nd, etc.) and nothing worked. What's the trick to this? Ginner, if you meant the buttons in s7, I haven't found the clue for that yet, sorry. Maybe the bird puzzle in s4 has to be done first...? don;t have clue for birds? oh...match birds to ones above. The clue is over the birds (expand them, and you'll see it). I had to check a WT video to get them right. You'll get the clue for the purple buttons afterwards. All you need to do is get the red and green letters right, then you get a key. I think the birds are PITA-birds!